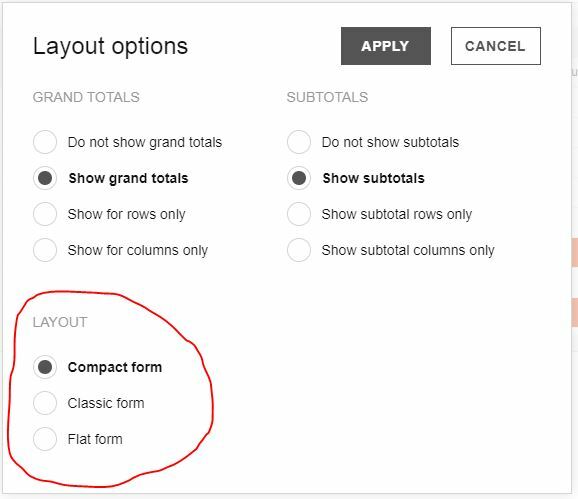 need to hide “Layout” from Layout Options pop-up? how do I? Thank you for your question. The Options pop-up is generated by the toolbar code. We provide the source code of the Flexmonster Toolbar which can be edited. In such case, we recommend removing the layout part of the Options pop-up from the flexmonster.toolbar.js file.